Islamic State group chief Abu Bakr al-Baghdadi was reported dead on Tuesday, a day after Iraq declared it had driven the jihadists from their one-time top stronghold of Mosul. The Syrian Observatory for Human Rights, a longtime conflict monitor, said it had heard from senior IS leaders that Baghdadi was dead. If confirmed, his death would mark another devastating blow to the jihadist group after its loss of Mosul, which Iraqi Prime Minister Haider al-Abadi on Monday declared had been retaken from IS after a gruelling months-long campaign. 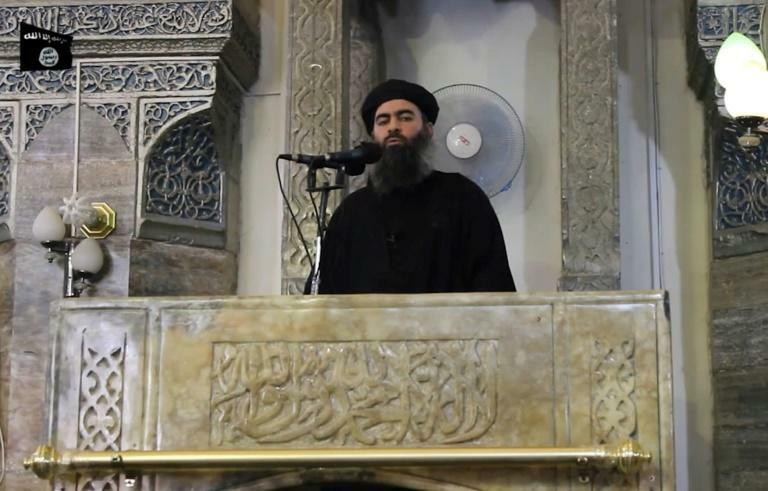 The Britain-based Observatory's director Rami Abdel Rahman told AFP that "top tier commanders from IS who are present in Deir Ezzor province have confirmed the death of Abu Bakr al-Baghdadi, emir of the Islamic State group, to the Observatory". "We learned of it today but we do not know when he died or how," he said. The report could not be independently verified. Baghdadi has been reported killed several times. Deir Ezzor, in eastern Syria, remains largely under IS control but the group has rapidly lost territory elsewhere in Syria and in neighbouring Iraq. Abdel Rahman said Baghdadi "was present in eastern parts of Deir Ezzor province" in recent months, but it was unclear if he died there or elsewhere. The US-led coalition fighting the jihadist group in Syria and Iraq said it could not verify the Observatory's information. "I don't have a clue" about Baghdadi's status, said US Lieutenant General Stephen Townsend, who heads the coalition. "Hope he's deader than a doornail. And if he's not, as soon as we find out where he is he will be," he said in a video call from Baghdad. Asked if the coalition was examining the claim, its spokesman Colonel Ryan Dillon said: "We have professionals who use all information at their disposal to verify reports before we would confirm any allegations." US President Donald Trump on Tuesday tweeted "Big wins against ISIS!" It was not immediately clear if that was a reference to Mosul's recapture, Baghdadi's reported death, or both. There have been persistent rumours that Baghdadi had died in recent months. Russia's army said in mid-June that it was seeking to verify whether it had killed the IS chief in a May air strike in Syria. The US-led coalition said at the time it could not confirm whether the Russian strike had killed Baghdadi. With a $25 million US bounty on his head, Baghdadi has kept a low profile but was rumoured to move regularly throughout IS-held territory in the area straddling Iraq and Syria. The 46-year-old Iraqi has not been seen since making his only known public appearance as "caliph" in 2014 at the Grand Mosque of Al-Nuri in Mosul. Iraqi forces launched their campaign in October to retake Iraq's second city, which was seized by the jihadists during the mid-2014 offensive that saw them take control of large parts of Iraq and Syria. Abadi announced in Mosul on Monday that the campaign had ended with the defeat of IS in the city, hailing "a victory over darkness, a victory over brutality and terrorism". 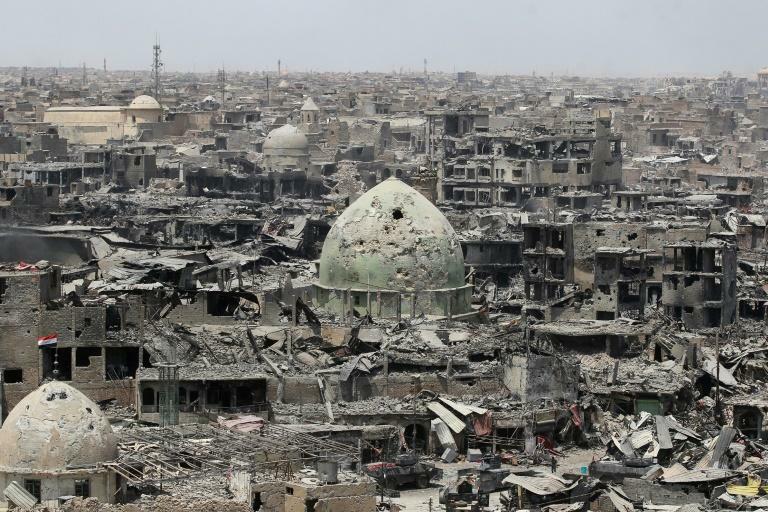 The cost of victory has been enormous: much of Mosul lies in ruins, thousands are dead and wounded and nearly half the city's residents have been forced from their homes. In Mosul's Old City, where buildings lie crumbling and burned-out cars and other debris choke the streets, security forces were still searching for remaining IS fighters. "What we are doing today is just combing the area and clearing it of sleeper cells," said Staff Lieutenant General Sami al-Aridhi, a senior commander in Iraq's elite Counter-Terrorism Service. "There are groups that are hiding in shelters," but they surrender or are killed, Aridhi said. Rights group Amnesty International on Tuesday accused Iraqi forces and the US-led coalition of exposing civilians to "relentless and unlawful attacks" in west Mosul. "Pro-government forces launched barrages of indiscriminate or disproportionate attacks using explosive weapons unsuitable for such a densely populated urban area," Amnesty said.